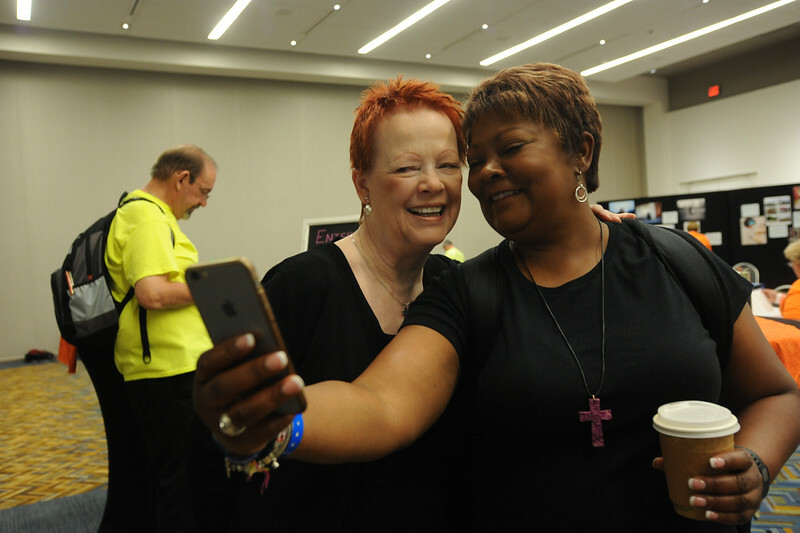 Women of the ELCA @ ELCA Youth Gathering | Detroit, Michigan, July 15-19 2015 | Patti Austin and The Rev. Angela Shannon, King of Glory Lutheran, Dallas, Tx. share a "twofie" in the Adult Leaders Cafe.